It is quite true that any tablet PC would lose half its charm and utility if it is not connected to Internet. And if you use WiFi, I am sure that you would look ways to fix issues so that you get better WiFi signals. Here, we would be talking about easy ways to fix iPad WiFi problems which would increase it WiFi signal. No, it is not that something is wrong is with the device. And yes, we are not even sharing any magic trickwhich would magically increase your iPad’s WiFi range. These are the few things which you need to take care of which would surely help. No wonder, one has to count on routers immensely for better WiFi signals. So, it is obvious that one has to go with routers manufactured by big names so that you need not compromise with he signals. Yes, WPA2 is an outdated technology when compared to WEP, but you will face less issues with you iPad WiFi if you have been using WPA2 supported routers. I am not sure if it is right or wrong but I have read number of reports on Internet which suggest once you hold your iPad, it loses 50% of its signal strength. You can try placing your iPad on the table and see if it works. If WiFi signals get improved, then this theory still stands right. There is no harm in trying it out. They say iPad is very smart. When you reduce the brightness, it comes under the impression that you are trying to save the battery and helps to the cause by turning down the WiFi tuner performance. When you use your iPad to access Internet it just used one DHCP and uses the same during later use also. So you can either reboot your iPad to flush all the DHCP content and start with the fresh setup. This might help your cause. 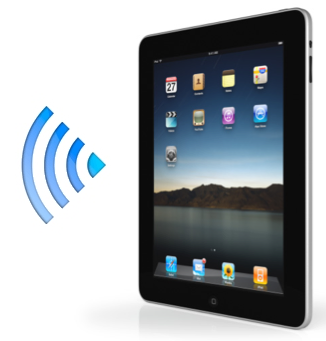 Apart from these simple ways, there are surely other ways to fix iPad WiFi problems and improve WiFi signals strength. Please do comment and share if you know any. Stay tuned with us at Facebook & Twitter and Subscribe Email to get updates on latest iPad Updates.